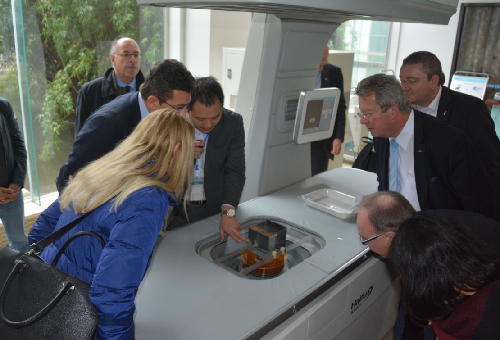 A trade delegation of more than 30 representatives from Bavaria in Germany visited Liangjiang New Area on March 24, seeking cooperation in medical care, logistics, automobile and equipment manufacture. Most of the delegates selected from 24 Bavarian companies come from the logistics sector. It was the first visit of a Bavarian trade delegation to Chongqing and Liangjiang New Area, seeking more exchanges and cooperation with western regions of China. 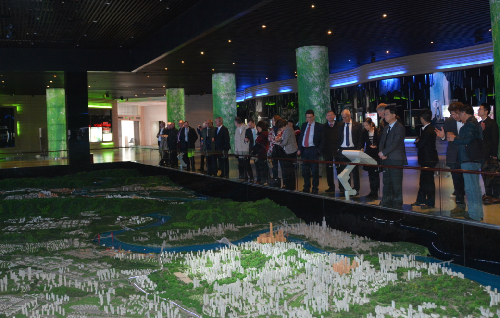 The delegation spent an afternoon visiting Liangjiang Planning Exhibition Hall, Chongqing Haifu Medical Technology Co Ltd and Webasto (Chongqing) Co Ltd.
Delegates learnt about Liangjiang New Area, including its district planning, development advantages, functional zones and industrial infrastructure. 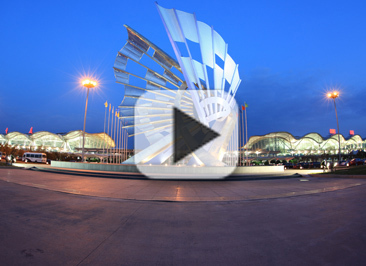 They were impressed with the development Liangjiang has achieved in recent years and hoped to cooperate with local companies. Trade between Chongqing and Germany has seen a big increase thanks to the opening of the Yuxinou (Chongqing-Xinjiang-Europe) International Railway, linking Chongqing with Duisburg in Germany. A total of 420 cargo trains rain between the two cities in 2016. By the end of 2016, 62 German companies have been approved to settle in Chongqing, bringing with them a total investment of 9.76 billion yuan ($1.42 billion). More than 40 German companies have settled in Liangjiang New Area, covering various industries including automobiles, robotics and electronics. Tang Zongwei, NPC deputy and deputy director of Liangjiang New Area Administrative Committee, said that the proposed Sino-German (Chongqing) Intelligent Manufacturing Industrial Park should be constructed in Liangjiang New Area.